Can Alcohol Abuse and Addiction be Treated? Do I Need Alcohol Addiction Treatment? Alcohol addiction is extremely common, surpassed only by tobacco addiction in terms of the number of individuals affected and the public health burden caused by high mortality and morbidity rates. Alcohol addiction is best conceptualized as a chronic relapsing disorder that has multiple bio-psycho-social attributes. Both the underlying cause and implications of alcohol addiction are diverse and multifaceted, encompassing various domains of one's life. Alcohol addiction adversely affects physical health. It is a known contributory factor to more than 60 medical disorders. But the damage caused by alcohol addiction is not restricted to physical health; it includes psychological, familial, social, occupational, financial and even legal complications. Consequently, any approach to treat alcohol addiction needs to be aimed at addressing the multiple domains affected by this condition. Use of medical treatment is important to tide over the initial phase of withdrawal as well as to address the craving on a long-term basis. Behavioral interventions such as contingency management. Family therapy helps address both the contributory factors as well as consequences of alcohol addiction related to the family. Also, occupational and vocational rehabilitation help one readjust to the demands of the job and vocation of life. Finally, special groups such as adolescents, pregnant women, medical personnel or older adults require specific interventions so alcohol addiction treatment outcomes can be improved. Find Help Now Alcohol addiction can wreak havoc on your health and personal life. Don't suffer anymore. Find a treatment center now. If you are not able to hold yourself back from drinking on the occasions when you should not drink or drink more than what you should have, you have probably lost control of your drinking. If you have been neglecting alternate pleasures and responsibilities because of alcohol use, it again is an indicator of a severe pattern of use that may result in an addiction. It is likely that you are addicted to alcohol in case you have been spending a great deal of time-consuming alcohol or recovering from its effects. Using alcohol excessively despite knowing the harm associated with its use is also an indicator of alcohol addiction. If you have developed a tolerance to the amount of alcohol you are consuming, such that you need to increase it in order to experience the same effects is another indicator of a physical dependence on alcohol. Your alcohol use pattern has lead to interpersonal conflicts including marital discord and loss of friends. Your alcohol use has lead to domestic abuse or neglect. Your alcohol use has aggravated or worsened your mental health condition. Different treatment options are available for alcohol addiction that can be utilized depending on one's needs and suitability. Those with severe addiction, characterized by the occurrence of severe withdrawal symptoms like seizures or delirium tremens. Past failed attempts at quitting from outpatient treatment. Residential Alcohol Addiction treatment offers closer and more direct supervision; and longer periods of contact with treatment team. Treatment for alcohol addiction can be sought from inpatient as well as outpatient settings. A consultation with the therapist is recommended before choosing a particular type of treatment. The inpatient treatment is offered through a host of different setups. These include the publicly funded addiction treatment centers; the private and luxury addiction treatment centers and executive addiction treatment centers. The private and luxury addiction treatment centers offer top-notch amenities in conjunction with the treatment services. The executive addiction treatment centers offer an opportunity to avail addiction treatment without missing the professional demands and responsibilities. Finally, depending on specific needs, one can search for specialized addiction treatment programs that are gender-restricted, holistic, age-specific, substance-restricted, dual-diagnosis/co-occurring disorder-specific. Medicines can help in the process of alcohol addiction treatment. Benzodiazepines such as diazepam, lorazepam, and chlodiazepoxide; and B complex vitamins (especially Vitamins B1 & B2) along with general nursing care are used during the medically assisted detoxification process. In the long-term management of alcohol addiction naltrexone and acamprosate can be used as anti-craving agents. Acamprosate was effective in treating alcohol dependence in European trials, but the US trials have not demonstrated the same efficacy. Naltrexone has also shown mixed results, but some research indicates that it reduces episodes of heavy drinking and is usually more effective than placebo treatments. The main problem with naltrexone is a lack of compliance amongst patients and severe side effects. Disulfiram (Antabuse) was also approved to prevent relapse after quitting alcohol use, but its status remains controversial. A meta-analysis conducted in 2014 evaluated the efficacy of Disulfram in supporting abstinence in randomized controlled trials (RCTs) and concluded Disulfram was more effective than controls in maintaining abstinence and preventing relapse. Topiramate has also showed efficacy in reducing alcohol consumption, but produces adverse effects like memory and concentration deficits; weight loss, taste disturbances that limit it's utility. Counseling and psychological therapies play an important role in alcohol addiction treatment. Motivational interviewing helps one find reasons to quit alcohol and improve the motivation to stay sober. Cognitive therapy and Cognitive behavioral therapy help identify and correct problematic cognitions and behaviors by applying a range of different skills. Relapse prevention helps identify the risk factors that can predispose one to risk of relapse and explore the ways to address these factors. Contingency management can also be employed to prevent relapse or control drinking by making tangible rewards contingent on desired behaviors. 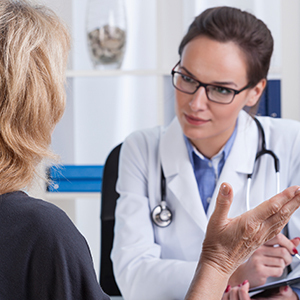 Partial hospitalization offers the added benefits of direct medical supervision without the requirement of getting admitted for the entire duration of the treatment program. Partial hospitalization is best suited to those who require ongoing medical supervision but have a stable psychosocial support system and safe living arrangements. The contact with the hospital is usually for around 4-6 hours per day, 3-5 days a week. Intensive outpatient is best suited for those who want to accommodate work or other scheduled responsibilities. Although it is not an inpatient program, it requires a major time commitment on an outpatient basis around of 2-4 hours a day, 3-5 days per week. Around half of those diagnosed with alcohol addiction can be expected to suffer from a co-occurring mental disorder at some point in time in their lives. Alcohol addiction is associated with an increased risk of co-occurring depressive disorder and anxiety disorders. Studies among general population have suggested that around half of those diagnosed with alcohol addiction (alcohol use disorder) can be expected to suffer from a co-occurring mental disorder at some point in time in their lives. This co-occurring mental disorder could be secondary to alcohol addiction or could exist independent of alcohol use. At other times, alcohol use may be the result of attempted self-medication to relieve mental disorder symptoms. Integrated treatment is highly recommended for those with co-occurring alcohol addiction and psychiatric disorders whereby both the conditions are addressed simultaneously by the treatment team. Research has shown that a combination of medical treatment with cognitive behavioral therapy can help reduce depressive symptoms in alcohol dependent patients. Relapse of alcohol addiction and mental illness. Service costs and utilization of high-cost services. Battling a mental condition and an addiction is very difficult and can result in an unending loop of abuse and treatment if the underlying or accompanying conditions are not addressed. However, evaluating a treatment program for dual diagnosis effectiveness can be burdensome. But don't worry; if you or someone you love has been struggling with the dual co-morbidity of alcohol addiction and mental disorder, call to speak with a treatment support team member at 1-888-993-3112Who Answers? to obtain more information about alcohol recovery options. Provision for medically assisted detoxification. Availability of adjunct therapy and support for special cases (dual diagnosis, older adults, adolescents, pregnant women etc. ).